The EC-Council Certified Security Analyst (ECSA) penetration testing course provides you with a real-world hands-on penetration testing experience and is a globally accepted hacking and penetration testing course that covers the testing of modern infrastructures, operating systems and application environments while teaching the students how to document and write a penetration testing report. The training exercises and class material takes the tools and techniques that are reviewed in the Certified Ethical Hacker (CEH) course and teaches students how to apply these skills/tools by utilizing EC-Council’s published penetration testing methodology. Aside from a reserved seat in an official prep course for the ECSA certification, the resources provided to students with registration include official EC-Council courseware along with an ECSA exam voucher. When you combine the instructor-led training with the included course resources, this official EC-Council class is a great learning tool for those interested in reviewing how to apply hacking skills in a pen test scenario and gaining the ECSA certification. This course includes one exam voucher for the most current version of the ECSA exam. 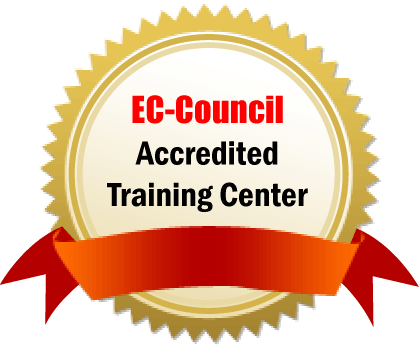 This official EC-Council training seminar reviews all 16 comprehensive modules that were created by EC-Council for ECSA, ensuring our students successfully prepare for the ECSA certification exam while also enhancing their overall competencies in ethical hacking and penetration testing. CSX Practitioner 2: Detection training looks at cyber security skills and foundational, practical instruction on the ‘Detect’ domain.